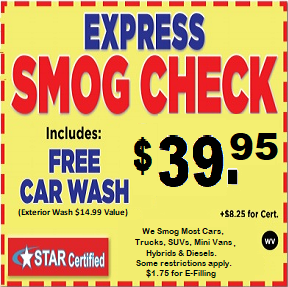 Welcome to Westlake Smog Center, where we make sure your smog experience is the best it can be. We have built a reputation for honest and reliable smog testing services since 1993. 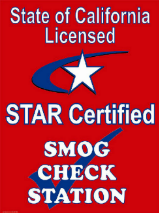 We are an Official State of California STAR Certified Smog Check and Test Only station and only employ Highly Skilled, State Licensed, Fast and Friendly Technicians who are qualified to test and certify all Domestic and Foreign Cars, Trucks, SUV's, Minivans, Hybrids and Diesels. The average test takes about 15 minutes and your certificate will be electronically filed with the DMV. Your satisfaction is our top priority! Print this coupon and bring it in to redeem! Serving the Conejo Valley including Westlake Village, Agoura Hills, Thousand Oaks, Moorpark, Newbury Park and Calabasas. Content copyright . WESTLAKE SMOG CENTER. All rights reserved.